Munaweera's writing is exquisite…She presents vividly the breathtaking beauty found in Sri Lankan nature and the heart-wrenching joys and sorrows found in human relationships. Matter-of-factly interspersed are intense, brutal, numbing depictions of the unnatural and inhuman actions of civilian warriors…I look forward to more of her work. (Reviewed by BookBrowse First Impression Reviewers). Brimming with vivid imagery: Lyrical and languid in its beauty, brutal and merciless in its violence. You are left with visions of a beautiful, tranquil island shredded with unspeakable terror and loss. By turns tender, beautiful, and devastating, Island of A Thousand Mirrors is a deeply resonant tale of an unravelling Sri Lanka. Incredibly moving, complex, and with prose you may want to eat, this debut is a triumph. Exquisitely written and beautifully evocative of an exotic place and bygone age. In Island of a Thousand Mirrors, Nayomi Munaweera writes with ferocity, fire and poetry of the incomprehensible madness of civil war and its effects upon those caught within it, whether in the villages and cities of Sri Lanka, or half a world away. A masterful, incendiary debut. War from a woman's perspective. The country of Sri Lanka covers an area of just over 25,000 square miles. Located off the southern tip of India, the island has been called "the pearl of the Indian Ocean" due to to its shape, location, and natural beauty. Separated from India by about 18 miles at its closest point it is believed that there was a land bridge between it and the mainland up until the 15th century. 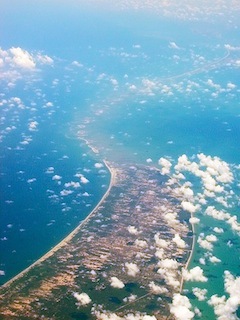 Today, the chain of limestone shoals, known as Rama's bridge or Adam's bridge can clearly be seen from the air. Full of lush green landscape, tropical forests, waterfalls, and beaches, it is no wonder that, according to Islamic folklore, Sri Lanka was offered as a refuge for Adam and Eve after they were expelled from the Garden of Eden. 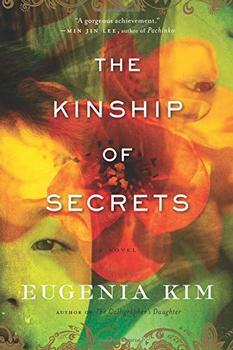 From the author of The Calligrapher's Daughter comes the riveting story of two sisters, one raised in the United States, the other in South Korea, and the family that bound them together even as the Korean War kept them apart. The twelve paired stories in Shobha Rao's An Unrestored Woman trace their origins to the formation of India and Pakistan in 1947, but they transcend that historical moment.